The verb, the noun, the substance, the action, the command: make a mark! If fire came first, paint came second—they had paint all the way back in those caveman caves, and you can still understand that ancient handprint on the wall even though it’s 40,000 years old. Point being, it’s a primal act, or what you might call a good first step. 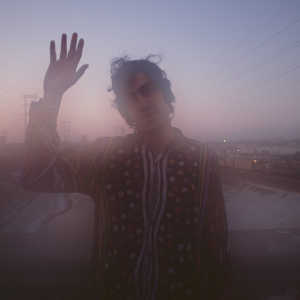 So now this PAINT: guitarist/singer Pedrum Siadatian of the Allah-Las making his first solo record with his first solo recordings of his first solo songs. It’s simple: he’s making a mark. He’d started four-tracking strange little song-sketches as the Allah-Las finished their third album Calico Review in 2016— little song-sketches that wouldn’t fit the full band, but that indicated an outré sort of potential. These were slow-growing ideas fed by a certain acid-bitter poetry (Gregory Corso and John Lennon, for two) and by strands and lines unraveled from casually encountered prose or reportage. They’d derive a certain blurry life and sound from the murky music of Kevin Ayers or Syd Barrett, whose cultivations were as likely to bloom into gloom as beauty. 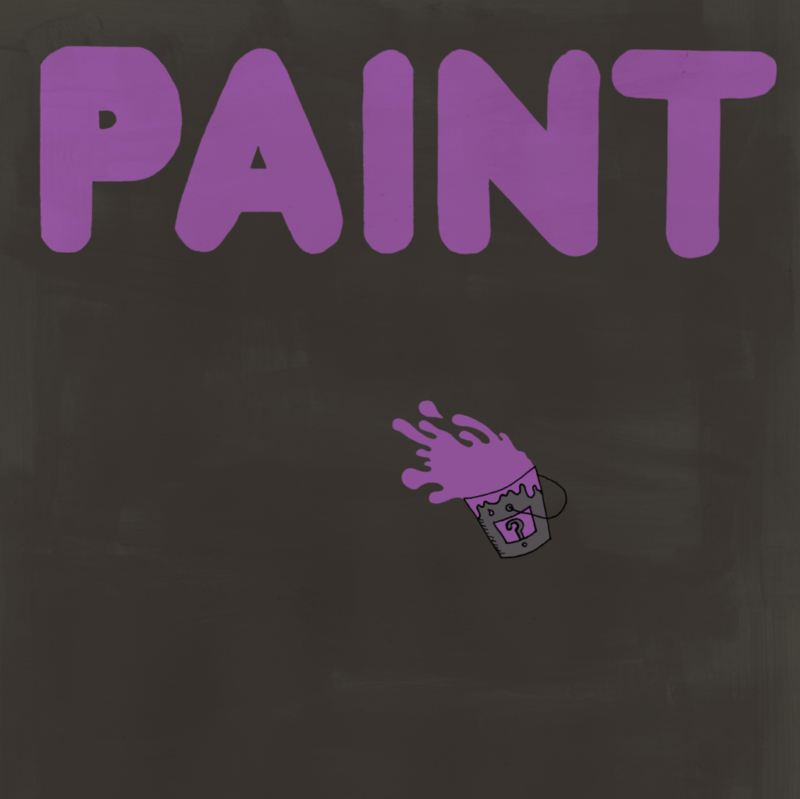 PAINT’s first song was “Moldy Man,” grown almost in secret far from harsh light and hot air. His next was “True Love (Is Hard To Find).” With one, he could’ve been done, but with two, he knew he was at the start of something. Anyway, this is PAINT, the substance and the action—it drips, it runs, it changes colors. It’s liquid, ‘til it takes shape. (It’s not a photograph, and not supposed to be.) It’s got mistakes and also mistakes that turned out not to be mistakes, and jokes and puns that turned out to be unexpectedly resonant truths. And if it sounds like it never saw the inside of a real studio, well…some artists just like to work from nature, or their inner nature. Not the desert but the dirt, not the night but the dark, not the sun but the heat and not the sea but the deep, and always the heartbeat blood- rush feel-it! momentum that makes all rock ‘n’ roll rock and roll. “You gotta just keep moving on,” says PAINT. “Stick with it and you can’t go wrong” – just as the painter Piet Mondrian said to Lee Krasner “You must never lose it.” Same idea! Think of it this way: PAINT’s first album isn’t clean, but it’s very very clear. Sometimes the mess is the message.